The farm bill has about $57 billion for conservation. Director of the Healing Our Waters-Great Lakes Coalition Todd Ambs says a lot of people don't realize the farm bill is where we find the largest source of conservation money from the federal government. "That’s because there are so many activities that happen on the land that bring us our food, that if done improperly can have a very adverse impact on the soil and also to surrounding waterways," he says. The bad news for environmentalists: the new farm bill cuts $6 billion from conservation programs over the next decade. But Ambs says there's a lot of restructuring within programs, and he expects that'll mean the money will be spent more efficiently. The biggest news: the farm bill ends direct payments to farmers. Previously, farmers got checks whether they had good years or bad years. Ryan Finley is with the Michigan Farm Bureau. “Part of that direct payment agreement was that the farmer signed a document that said I will comply with all conservation practices required for the land I utilize,” says Finley. Now, that’s tied to crop insurance instead. So, if you sign up for crop insurance, you have to agree to farm a certain way. Finley says that was a controversial move. But that big step - getting conservation tied to crop insurance - came down to a standoff between four lawmakers in a room together. Senator Debbie Stabenow chairs the U.S. Senate Agriculture Committee. “There was a very big fight in the conference committee. But we were able to achieve it by support from a very important new coalition where we had farmer groups, commodity groups that came together with conservation and environmental organizations,” she says. Stabenow says the farm bill is the best tool we have to protect our land and water because the majority of land in the U.S. is privately owned. So, she said it made sense to tie conservation agreements to crop insurance, especially since the federal government helps subsidize crop insurance to begin with. “It is something that we partner in paying for as taxpayers, so I think there’s a public interest and it’s only appropriate to say we’ll have an expectation for best management practices for conservation,” she says. 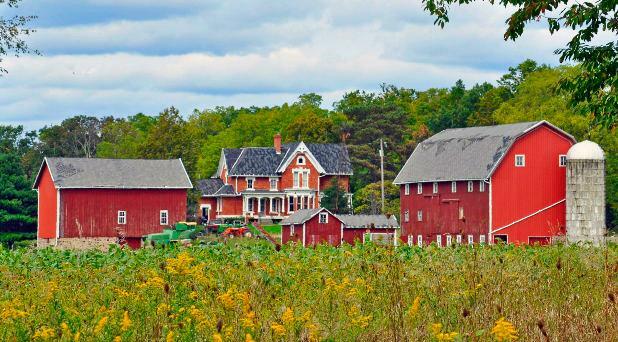 The new farm bill also creates a regional partnership for the Great Lakes. Stabenow says it’ll provide money for local projects in the region. She says the program will build on the work of the Great Lakes Restoration Initiative. There are all kinds of projects in the works to restore wetlands, clean up pollution and fight invasive species. 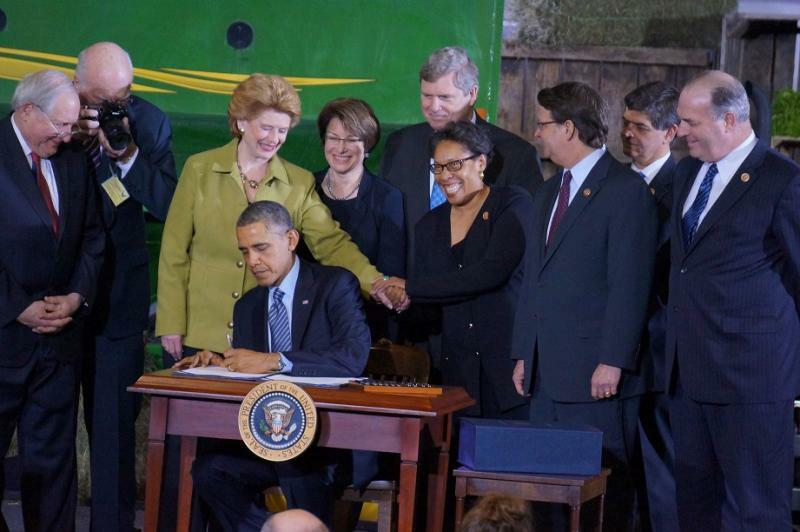 About 500 people packed a Michigan State University campus hall Friday to witness President Barack Obama sign the new federal farm bill. The event capped years of negotiations and some tough compromises with Congress on the complex legislation. President Obama said he’s always glad to return to Michigan to cheer the auto industry recovery. Now, he says, it’s time to do the same for agriculture and rural America.